Two daughters of Yurt Atayün, a former police chief who was jailed in the summer of 2014 for taking part in a corruption investigation, have raised concerns about the safety of their father in prison and called on the relevant authorities to take action to maintain security in the country’s prisons, in video messages posted from the Twitter account of their father on Tuesday. Atayün is one of the dozens of police officers who were arrested in the aftermath of two massive corruption investigations on Dec.17 and Dec. 25, 2013 in which government figures were implicated. Then-Prime Minister and current President Recep Tayyip Erdoğan labeled the investigations as a coup attempt against his government and covered them up by replacing the prosecutors and judges overseeing the investigations. 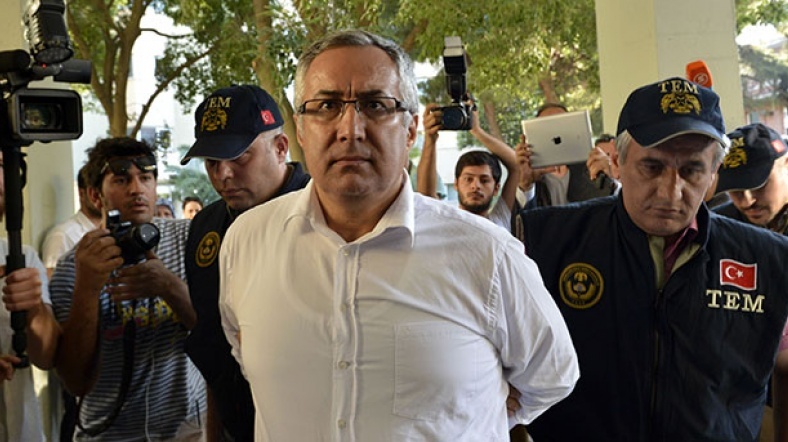 In July 2014, dozens of police officers including Atayün as well as some judges and prosecutors who took part in the corruption investigations were jailed. In the video messages, Atayün’s daughters Esra and Elif Atayün talk about the ordeal of their father, who was the former head of the İstanbul counterterrorism unit, saying that he has been unfairly kept behind bars for four years and in a one-person prison cell for the past six months. Esra delivers her message both in English and German, while Elif speaks in Turkish. “In Turkey, the number of suspicious deaths in prisons are increasing by the day, and I am extremely worried about the safety of my father and my loved ones. My father and thousands of others, who are innocent, are being kept in prison cells in Turkey. So, my question is: How many more deaths will there be before somebody takes notice? I call on the United Nations, European Union, Council of Europe and all human rights organizations to pay special attention to the situation in Turkish prisons right now,” says Esra Atayün in her message. Elif delivers a similar message in Turkish. Atayün’s daughters have apparently been alarmed by the suspicious death of former police intelligence chief Zeki Güven, who was found dead on Sunday in his cell at Ankara’s Sincan Prison. The Turkish government accuses the Gülen movement of masterminding the corruption investigations in 2013 as well as a failed coup attempt in July 2016. The movement strongly denies any involvement in both incidents. According to an official statement, Zeki Güven died due to a heart attack; however, given previous incidents and deaths in Turkish prisons, his death is considered suspicious.